A flat bonnet, full width grille and slim headlights give Trax a more modern, bigger look. 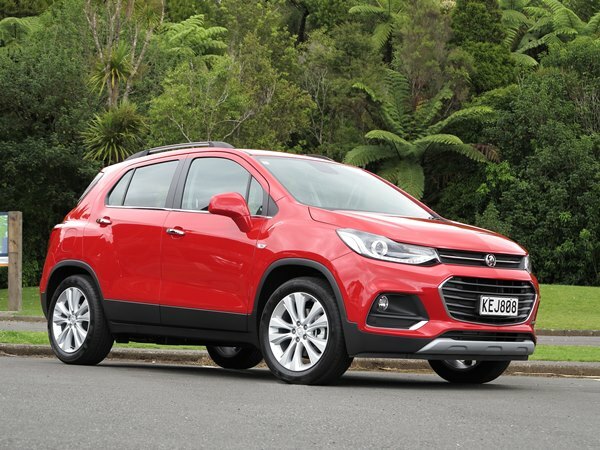 This is the mid-spec LT.
Holden’s Trax SUV and Barina are caught up in a bit of sibling rivalry. SUVs are becoming the small vehicle of choice, while conventional small passenger cars, such as Barina, are in decline. Both small cars have had a cosmetic makeover and specification upgrades. 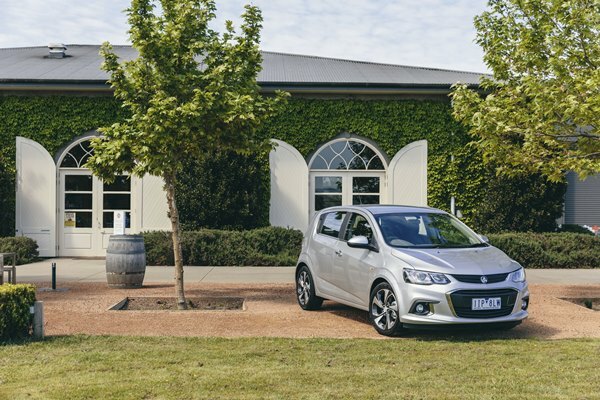 The changes to Trax are more significant than Barina’s, which will no doubt add fuel to Trax’s sales growth spurt. 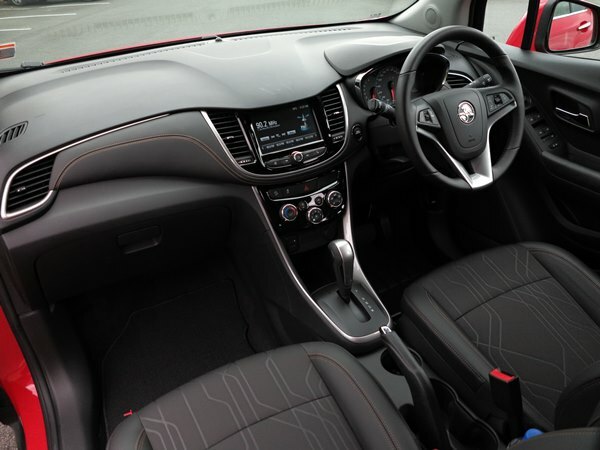 Outgoing Trax had two major criticisms levelled against it: the 1.8-litre engine was a bit wimpy (you had to opt for the top spec model to get the peppy 1.4 turbo), and the interior was bland, plastic and downmarket. New Trax is a different story. The cabin is a now a nice place to hang out. The design is thoroughly modern, has more soft-touch surfaces that look good, and is user-friendly. Trax’s fascia has a full width ‘eyebrow’, and the surfaces look and feel significantly better than the old model’s. Dynamically, nothing’s changed apart from kicking the 1.8-litre engine into touch. The 1.4-litre turbo, which is now standard across the range, is entertaining enough with 103kW of power, and 200Nm of torque at 1850rpm. The front-wheel drive (no all-wheel drive) Trax retains its six-speed automatic transmission, and the suspension tune is unchanged. Trax’s pricing is carried over from the comparative outgoing models. The LS is $32,990, LT $35,490, and $36,990 for the LTZ. Barina also has new styling front and rear, giving it a more mature, bigger appearance. Improvements to the interior aren’t as significant as thos of Trax. Barina LT (pictured here) has 17” alloy wheels, while the lower spec LS has gone from 15” to 16”. Sadly, the potent little Barina RS has been discontinued, leaving a range made up of the LS and LT, both powered by an acceptable but not exciting 1.6-litre with 85kW of power and 155Nm of torque. All models feature rear view camera and rear park assist as standard, and are five-star safety rated. Apple CarPlay and Android Auto are standard across the ranges, and the information is displayed on a large 7-inch colour screen. Specification has been enhanced, yet Barina’s pricing is also unchanged: LS manual is $22,490, auto $23,990, and LT automatic $25,990.